Mt. Zion students joined us on the risers! What a treat! Rich Hansen visited our chorus rehearsal and brought his students from Mt. Zion High School. 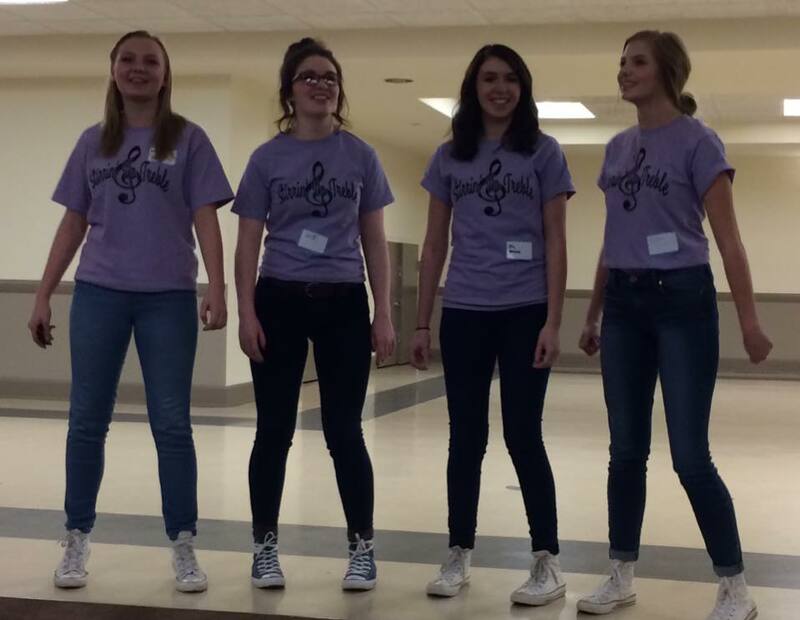 The group of lovely young ladies included a quartet, Stirring Up Treble. (How clever is that?) The quartet sang Lollipop and brought the house down! All the girls (and Rich too) joined us on the risers as we brushed up on our Christmas music. What a special night! Rich and the girls are welcome ANYTIME.